Berliner Two Drawer Chest. High end handmade furniture for upscale homes. 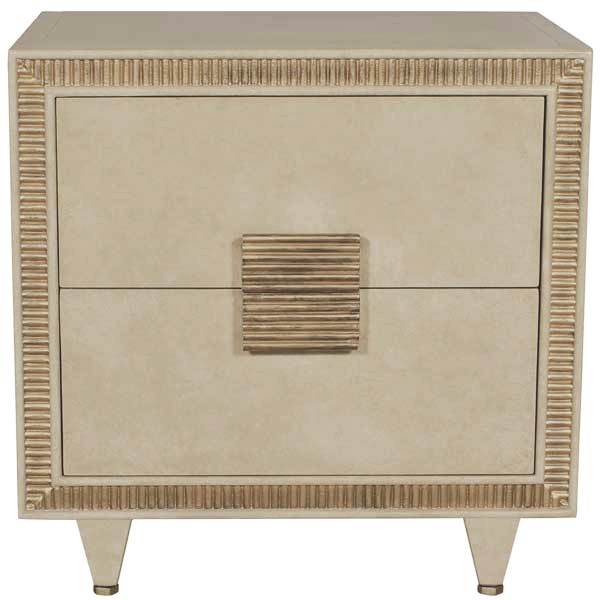 Berliner Two Drawer Chest was designed with the modern European lifestyle in view. Berlin is the creative workshop of Germany, a trendsetter and a capital of fashion, design, and music. The progressive spirit of optimism that engulfed the reunified city was – and still is – astounding. Hundreds of backyard art studios emerged from the shadows and art soon began to take over streets, the walls of buildings, and even entire districts. 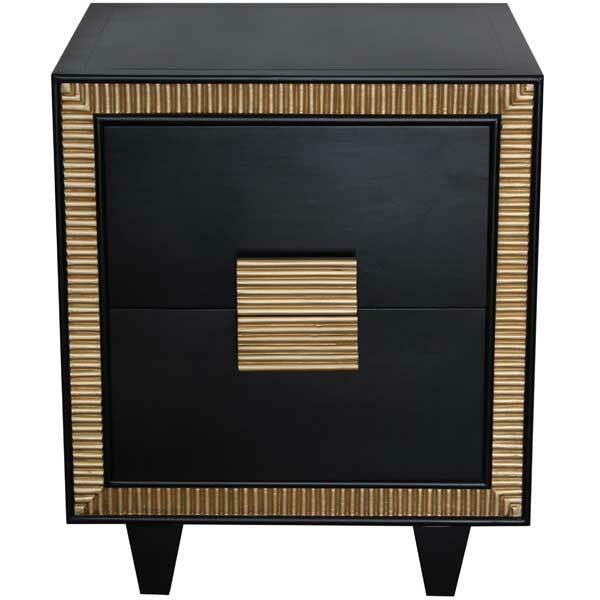 The Berliner Two Drawer Chest was designed by Shah Gilani, ASFD. Constructed of selected rosewood, this fine cabinet has Melamine-lined drawers which run on high quality drawer slides. All carving is entirely by hand. Four polished bronze glides are provided which also serve as levelers – a useful feature when the floor is uneven. The Berliner Two Drawer Chest makes an exceptional nightstand for an upscale modern bedroom. It is offered in a variety of finishes and accents. Custom sizing is available. In addition to our standard product, we can design and manufacture according to the client’s unique requirements. Drawings are made and finish samples prepared for client approval before production begins. We welcome international orders. Our shipping department can arrange customs clearance and delivery to your door anywhere in the world.